Sound At Law: Why Speaker Matibini Was Right to Ignore the Bombasa Injunction | Elias Munshya, LL.M, MBA, M.DIV. 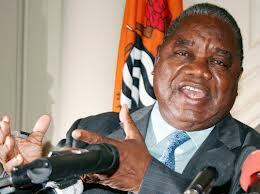 On Friday, 15 March 2013, the Zambian parliament debated a motion that sought to remove the presidential immunity enjoyed by former president of Zambia, Dr. Rupiah Banda. The motion passed by 80 votes, with most of the opposition members of parliament staying away from the proceedings. A day earlier, on Thursday, lawyers of the former president had successfully obtained an injunction from the High Court which sought to stop parliament from proceeding with the motion of removing Rupiah Banda’s immunity until the case had been disposed of in the courts of law. When the matter came up in parliament, Speaker Matibini ruled that he could not follow the injunction because it was irregularly issued. Among reasons given by Speaker Matibini is that “parliament enjoys protection of its internal processes, and these processes cannot be subjected to judicial interference.” I will argue in this article that Speaker Matibini’s position is sound at law. 78 (1) Subject to the provisions of this Constitution, the legislative power of Parliament shall be exercised by Bills passed by the National Assembly and assented to by the President. For the legislature to make laws freely, it should enjoy certain privileges and immunities derived from both the constitution and the common law (Such as Article 87 of the Zambian Constitution). Among these immunities and privileges are that the members of parliament should be able to debate freely without fear of repercussions from outside parliament. It is this fundamental doctrine that grants immunity to debates carried out by members of parliament while in the House. Additionally, parliament in its law making functions, works like a legal entity on its own, with internal disciplinary procedures. For example, no police can access National Assembly grounds without consent from the Speaker. In fact, even if there is a crime committed on parliament grounds, police investigators can only access parliament on invitation from the Speaker. Another important aspect of parliamentary power is that it has its own internal procedures that cannot be interfered with by a court of law (Article 86 of the Zambian Constitution). For example, parliament has its own rules with regard to how it disciplines its members and how it deals with the law making process. In fact, unless a procedure is enshrined in the republican constitution, parliament can mend and amend its rules as it wishes. This therefore, comes to the issue of what happened with regard to the injunction against parliament. Parliament was going to debate a motion on removing the immunity of the former president. This motion having been an internal matter of the legislative body could not be subjected to an injunction by the High Court. 86(1) Subject to the provisions of this Constitution, the National Assembly may determine its own procedure. However, I must here mention some limited circumstances in which the courts might interfere with parliament’s exercise of its powers. First, the courts might interfere if parliament is exercising power that has not been conferred upon it by the constitution. Since Zambia is a constitutional democracy where the constitution is supreme over all other branches of government, if parliament exercised power that is beyond its mandate that power might be ruled unconstitutional by a court of law. This was the issue in the case of Bright Mwape & Fred Mmembe v The Speaker. In this case, the duo were charged and sentenced by parliament to imprisonment for a case known as “contempt of parliament.” The courts of law ruled that parliament does not have such powers under the constitution to try criminal matters and impose a custodial sentence upon offenders. Clearly, debating to remove the immunity of a former president is not a criminal matter and it does not involve parliament imposing any custodial sentence on an offender. Second, the courts of law can interfere if parliament does not follow procedure set out in the constitution. This principle here is similar to the one mentioned above. If the law or the constitution specifically mentions that two-thirds of parliamentarians must vote on an issue and parliament ignores this constitutional requirement, the courts might intervene. For example, Article 37(2) prescribes how a motion to impeach a seating president should be passed. According to the constitution the vote to impeach the seating president should be “supported by the votes of not less than two thirds of all the members of the National Assembly.” With this clarity, any move by parliament contrary to this provision is subject to judicial review and reversal. Parliament would have abrogated the constitution if such a motion were passed without the constitutionally prescribed quorum. But where the constitution does not prescribe any specific procedure – it then remains for parliament to take its own procedures over such matters. In that regard then, the courts of law would not intervene or interfere. Third, the courts of law can interfere if parliament enacts a law that is contrary to the constitution. Zambia practices a constitutional supremacy system. If parliament went against the constitution to enact a law that is contrary to the constitution the courts would be at liberty to strike it down. Unfortunately, the principle of parliamentary sovereignty has its limitations under the Zambian constitutional regime. This principle however, deserves some elaboration. Parliament can still pass a law that is unfair or ill timed, if this law is done within the constitution, the courts cannot interfere with parliament. Some are suggesting that the speaker should have deferred to the High Court since the High Court had issued the injunction. They are suggesting that parliament should have respected the High Court. This is probably a misunderstanding of our constitution, parliamentary business does not need to wait for the judiciary to dispose of its cases. If that were the case, then the principle of the separation of powers itself would be in peril. At the heart of the doctrine of separation of powers is the understanding that no one arm of government should interfere with the constitutional exercise of the others’ powers. As was stated by the Supreme Court of Canada in Canada (House of Commons) v. Vaid (2005), “it is a wise principle that the courts and Parliament strive to respect each other’s role in the conduct of public affairs”. Some of our fellow citizens are also suggesting that Speaker Matibini displayed double standards by deferring to the courts of law in some matters while refusing to do so when it came to Rupiah Banda’s injunction against the motion. The double standards come from the fact that when some MPs are expelled by their respective parties and appeal to the courts of law, the Speaker always waits until their cases are disposed of by the courts of law. This accusation of Mr. Speaker is unfounded. These are completely different matters. In the case of MPs losing their seats – these matters concern MPs membership to a party that brought them to parliament and is therefore a matter that is outside parliament. Since, it is a matter outside parliament it is important that parliament intervenes only after such matters have been disposed of from outside parliament. However, tabling a motion to strip Rupiah Banda of immunity is an internal parliamentary matter and the Speaker does not need to subject himself to the courts of law even before the matter is tabled for consideration. It was never the intention of the framers of the Constitution that when the issue of removal of immunity of a former President arises, the former President would have the right to be heard. (3) A person who has held, but no longer holds, the office of President shall not be charged with a criminal offence or be amenable to the criminal jurisdiction of any court, in respect of any act done or omitted to be done by him in his personal capacity while he held office of President, unless the National Assembly has, by resolution, determined that such proceedings would not be contrary to the interests of the State. Since, this particular act of “determining” whether criminal proceedings against Rupiah Banda would not be contrary to the interests of the State, can be done by a parliamentary resolution, it remains for parliament to determine what a resolution would comprise. Precedence and parliamentary practice suggests that a parliamentary resolution could be done by simple majority of a parliamentary quorum. 84(4) The quorum for a meeting of the National Assembly shall be one third of the total number of members of the National Assembly and if at any time during a meeting of the National Assembly objection is taken by any member present that there is no quorum, it shall be the duty of the Speaker or person acting as such, either to adjourn the National Assembly or, as he may think fit, to suspend the meeting until there is a quorum. As such for a parliament of 158 members it would take only about 52 members to make a quorum and out of these 52 a simple majority of 27 MPs could pass a parliamentary resolution. Whether this is indeed desirable or politically sound is beyond the scope of this present article. Notwithstanding the provisions of Article 84 it is important to note that the simple majority rule does not apply in specific cases such as the impeachment of a seating president. For those questions, it requires two-thirds of MPs, as I have alluded to above. It is my opinion that the decision to strip Rupiah Banda is politically flawed. However, I would not for a moment blame the law nor the constitution for it. It was a politically toxic decision for the Michael Sata government to make. But as far as the law and the constitution are concerned, Speaker Matibini was right. We can now watch closely the next legal circus to unfold. Dr. Rupiah Banda’s Bombasa has been stripped; it is now time to see the naked emperor. In immunity we do not trust. Very interesting observations Munshya! so can we say the lifting of the immunity was right but the details or the reasons thereof were not spelt well to warrant the lifting of the immunity?????? I don’t know how independent is your speaker to Sata. Yes, he might be independent to the Judicially (judges), but not to the Executive. your comment vis a vise dishonouring the injuction. who then is powerfull the judge or the speaker? Justice Chanda’s history of criticizing the president and the country’s human rights record was long. In March 1996, he overruled the efforts of the speaker of parliament, Dr. Robinson Nabulyato, to sentence journalists Fred M’membe and Bright Mwape to indefinite prison terms for contempt of parliament. Chanda argued that the speaker and parliament had no right to imprison people. These are the Lawyers we need,not those economical vultures! Malundu.i like your view.excellent. I see it. The three arms are not separate as it is now. Unfortunately, the whole move is a political circus meant to derail the Executive’s detractors. Legally sound yes, but politically mistimed! Hope the cases wont take five years to be investigated and another five to be tried in the courts of law! You have explained it so clearly although it was a long article. Next time try to summarise such articles without loosing the meaning. Thanks for information. interesting piece. sadly i dont follow current affairs that well. pray tell, wht was the basis for granting the injunction? can one who has had an injunction wrongly issued against him.ignore it? who decides whether an injunction is sound- the injunctee or the courts of law? is matibini really upholdin seperation of powers? does the speaker have power to interpret, vary or otherwise rule that an injunction is invalid? Can this opportunity be used to investigate other allegations like police brutality during RB’s reign or its just for specific allegations relating to money laundeing? Elias, thank you an elaborate and sound analysis of the what the constitution says about this matter. There has been a lot of confusion on Matibini’s decision. You have elaborately distinguished the difference when an MP’s case i before the Courts and the issue of the Presidential Immunity. This will give us a basis for arguing and i find it prudent to argue based on your analysis and quote your well researched legal opinion and not put it as legal advise. Thank you and may God Bless you. Zarina – I agree with you. Kabimba’s reasons are quite dubious to say the least. He did not provide any tangible evidence. Harrison, Thank you for your comments. Article 84 of the Constitution of Zambia has already addressed matters of quorum. Please refer to the last paragraphs of the article. 84(4) The quorum for a meeting of the National Assembly shall be one third of the total number of members of the National Assembly ……..
Francis – Thanks. I do concur with you too. For the first time since friday,at last,somebody sensible & well informed has directed me……keep it up! Pros, I am torn between the legal part and the political activist part of me. Politically, this move is wrong, but at law, it is perfectly constitutional. Spot on Elias, As collective PROGRESSIVE Zambians this immunity Motions before and now has exposed our rotten governance SYSTEM. Granted, Zambia is a constitutional democracy, and the 3arms of government are independent of each other (powers and jurisdiction abet just academic) , as Elias has correctly argued but this comedy of duplicity executive into parliament has to be stopped for the betterment of our society. Think critically for a moment, who is this independent parliament? One filled with the same executive arm of government (executive ministers to which Kabimba the mover of the motion is part)? Isn’t this politically, morally &legally folly for the drafters of our constitution to have left this duplication of the executive into parliament ? With these lessons learned (not only in these immunities but for a progressive society ) ,its time the executive was divorced from Parliament! Executive’s cabinet must be formed by members outside parliament (not from parliamentary MP as executive cabinet ministers, NO!) . For me I don’t blame the procedure or who didn’t do what (parliament &Judiciary) but Elias as a political activist, It’s time you spear headed CHANGE OF A BETTER GOVERNANCE SYSTEM not this comedy (where the separation and independence of the 3arms is in fact a mockery,the same executive are full in parliament)???? It’s time this was stopped! !